The team at Gator Blinds has been providing top of the line window treatments for home and business owners in St. Petersburg. Whether it’s your bathroom, bedroom, or living room, our products can enhance any environment and match your current room style. 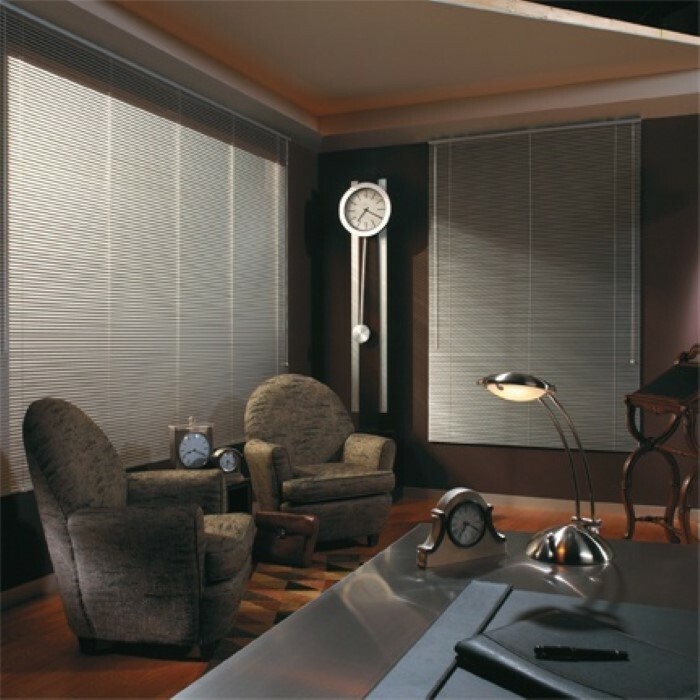 We offer a wide range of window blinds in St. Petersburg, FL. Finding the perfect window covering for your interior has never been easier. You get the benefit of durable construction and unique designs at a price that you can afford. Our comprehensive service includes sales, delivery, and installation of all window covering. With Gator Blinds you get complete window service from start to finish. Ready to get your next window covering project started? Call us today 727-490-1898. You can either go to a department store and endlessly browse generic products that never truly bring any real satisfaction, or you can get custom window treatments that accurately reflect your personal taste and style. Store bought shutters, shades, or blinds do not provide you with precision manufacturing and custom-design that window products from Gator Blinds can. In addition to our shades and blinds you get personal one on one attention from experienced professionals who have extensive knowledge and training in all types of window covering. If you’ve never considered plantation shutters then now is the time. 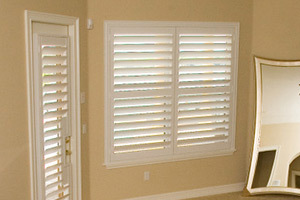 With a southern charm all their own, plantation shutters make the perfect addition to any room environment. 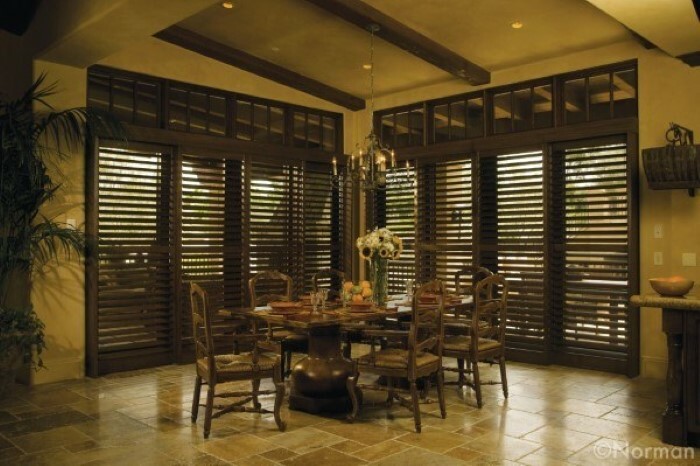 You can get plantation shutters in either real North American Hardwood or go with durable faux wood. They come in a wide variety of blade sizes that open or close in order to control the amount of light that enters the room. They also give you ultimate privacy on the insde. They’re available in a popular bi-fold track design that is great for larger windows and sliding glass doors, as they are hinged at the half-way point and easily fold up. 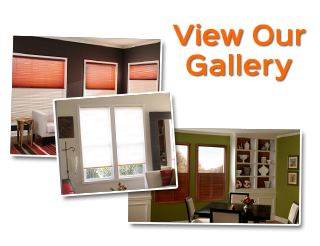 We offer the highest quality window blinds in St. Petersburg, FL at the most competitive prices. Our blinds are designed to your exact specifications in order to insure your absolute satisfaction. And with our installation service, we’ll deliver and install your blinds to fit your exact window dimensions. 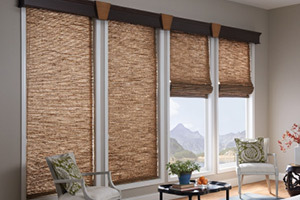 With blinds from Gator Blinds there is a great selection of blinds to choose from including wood, faux wood, composite, fabric, motorized and so much more. Visit our showroom today and get the natural wood blinds you’ve always wanted. Our beautiful shades have versatility and flexibility that works in almost any room in the house. Whether you are investing in new shades for either your residential or commercial interior you’ll find that modern shades are decorative, functional and available in a huge variety of styles. Our line of shade products include pleated shades, woven wood and bamboo with their striking colors and natural textures that are unmatched anywhere in St. Petersburg. You can also choose from chic cellular and honeycomb shades that come in a wide range of colors and textures that enhanve any home interior. If you are looking for a Window Blinds in St. Petersburg, FL, Call 727-490-1898 or complete our online request form. 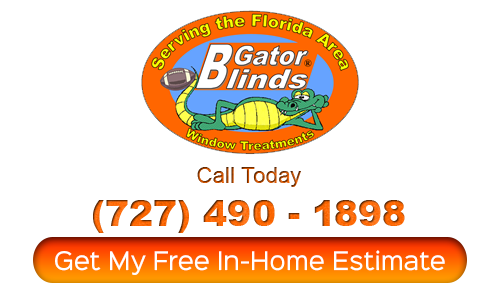 "We called on Gator Blinds to help us with the window treatments in our newly purchased home. Gator Blinds showed us an amazing array of options that we could choose from. After carefully deciding on a set of shutters for our home, we could not be more happy with the result. Thanks Gator Blinds!"